Windows 10 can corrupt an OpenSDA V2.x bootloader. Fortunately it's not a terminal problem, but it might require a terminal solution. More and more of my students are using Microsoft Windows 10 machines, and my computer has been upgraded to Windows 10 a couple of weeks ago too. From my work and experience, a new operating system causes always some challenges, and Windows 10 is no different. And no, this is not about Microsoft vs. Apple vs. Linux. This post is about addressing a potential and painful problem which I have observed with Windows 10 machines, and to my understanding could happen with any other operating system too. 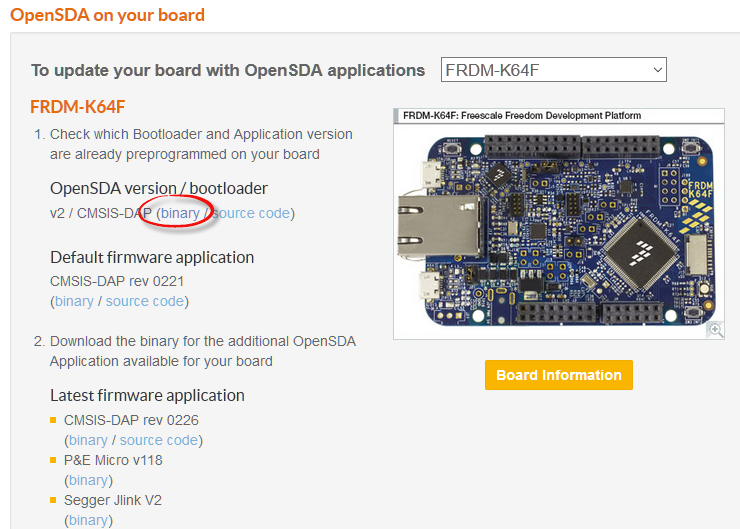 The problem is that somehow on several student machines the bootloader and OpenSDA application on their FRDM boards did not work anymore. It happened 6 times during last semester. In all cases, a Windows 10 machine was involved. It is not clear under which circumstances it happened. It seems to happen rather randomly, and if the board has been put into BOOTLOADER mode. 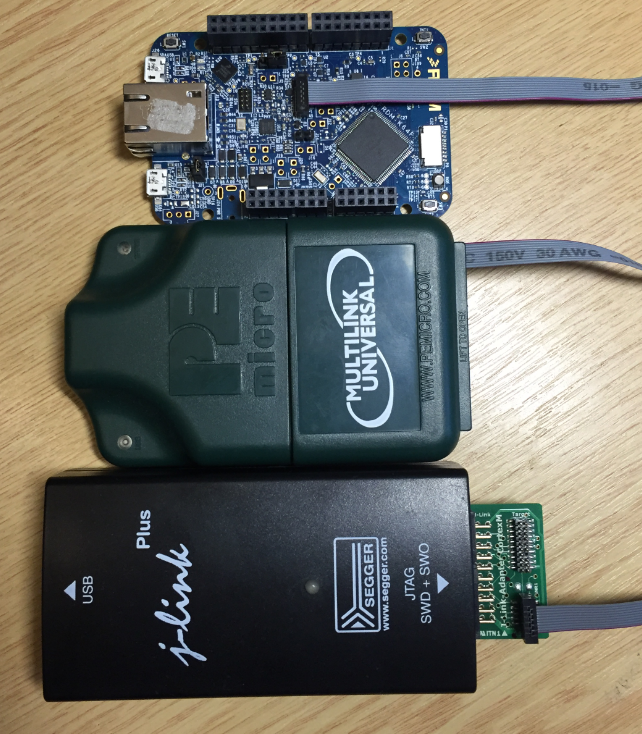 The OpenSDA application and bootloader appears as virtual MSD (Mass Storage Device) to the host. My speculation is that somehow the host machines reads and writes to that device in a way that confuses the bootloader application on the board. As a result, it seems to me that this leads to some programming sequences which then invalidates and corrupts the bootloader and application on it. 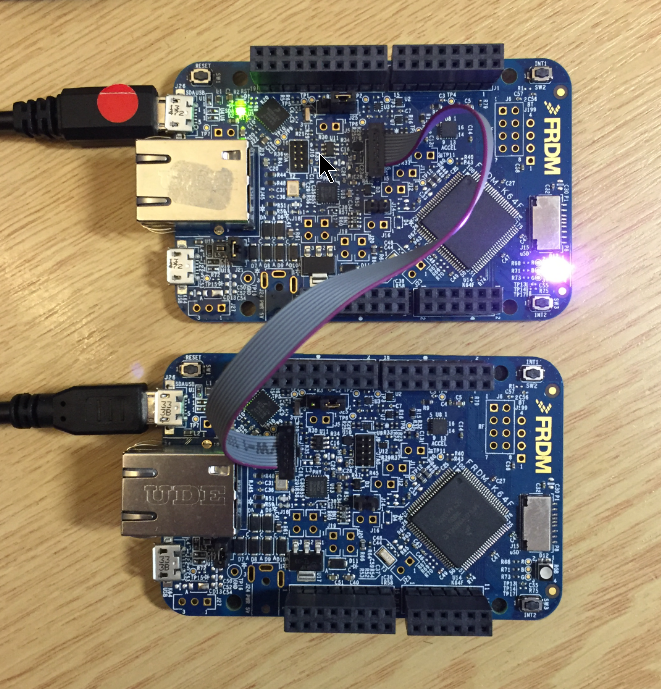 Only OpenSDA V2.0 (NXP FRDM-K64F) and OpenSDA V2.1 (NXP FRDM-K22F) boards were affected. 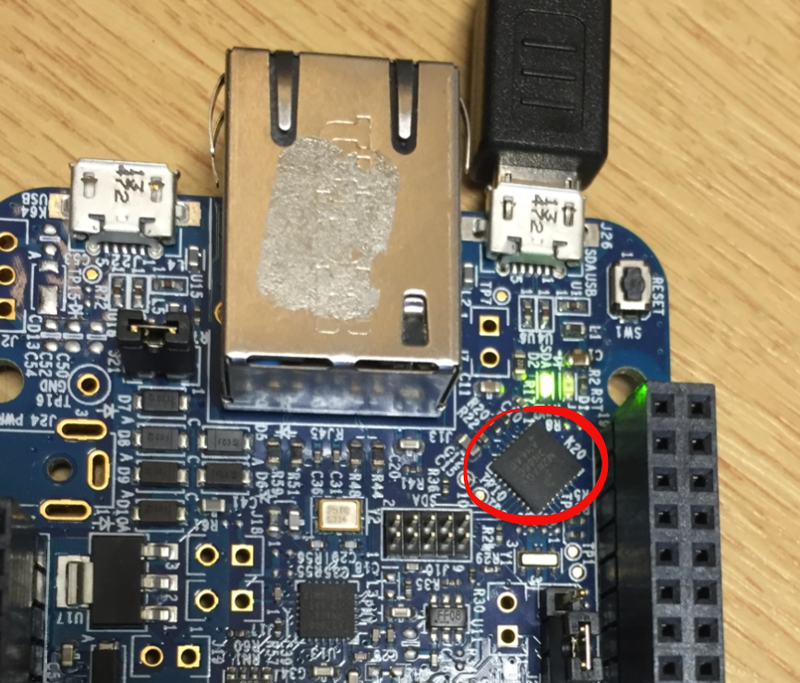 These board have an ‘unsecured’ (mbed) bootloader on it which can be overwritten as it is open. The OpenSDA V1.0 bootloader (produced by P&E), on the other hand, seems not to be affected, as the bootloader firmware is secured and protected, so it cannot be erased. So the problem seems to be related to the OpenSDA V2.x bootloader. Go to http://www.nxp.com/opensda and select your board. Check if your bootloader is a V2, V2.1 or V2.x. If yes, you are potentially affected. Do nothing. The problem seems to be rather rare from my experience. Try the new beta OpenSDA V2.2 firmware (see this link), which seems to be able to deal with the issue. 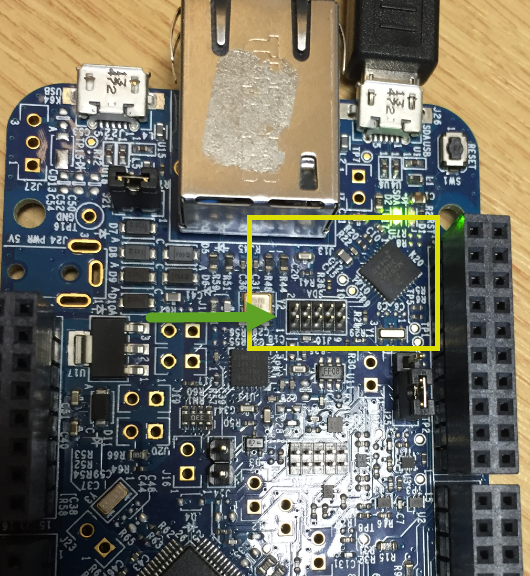 To reprogram the OpenSDA K20, you first need the bootloader firmware file. You might consider cloning it from a working second board (see "Recovering the FRDM-K64F Bootloader, or: Cloning the Program of a Microcontroller"). Be careful to select the correct bootloader file. 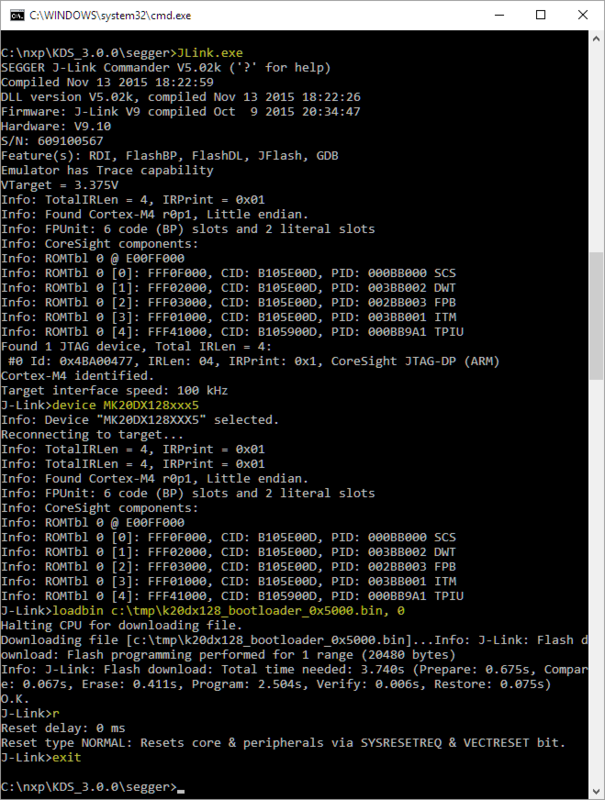 The FRDM-K64F V2.0 bootloader uses a different base address for the application from the V2.1 one. In any case, you need a separate/external device to re-program the bootloader. The recommended solution is to use either a Segger J-Link or a P&E Multilink. Alternatively, another FRDM board like the FRDM-K64F can be used. Otherwise, the OpenSDA on an FRDM or Tower board can be used. If you don’t want to use an IDE, you can use the Segger J-Link Commander which is part of the Segger J-Link software package. It is part of Kinetis Design Studio too. Otherwise, it is available from here. Note: Keep in mind that the Segger license agreement only allows programming of an evaluation board (FRDM, TWR, etc), not custom hardware. The P&E OpenSDA V1 debug firmware does *not* allow programming of any off-board devices. Windows 10 can corrupt an OpenSDA V2.x bootloader. To recover the bootloader, I need a programming device and the firmware file, then I can restore the bootloader. 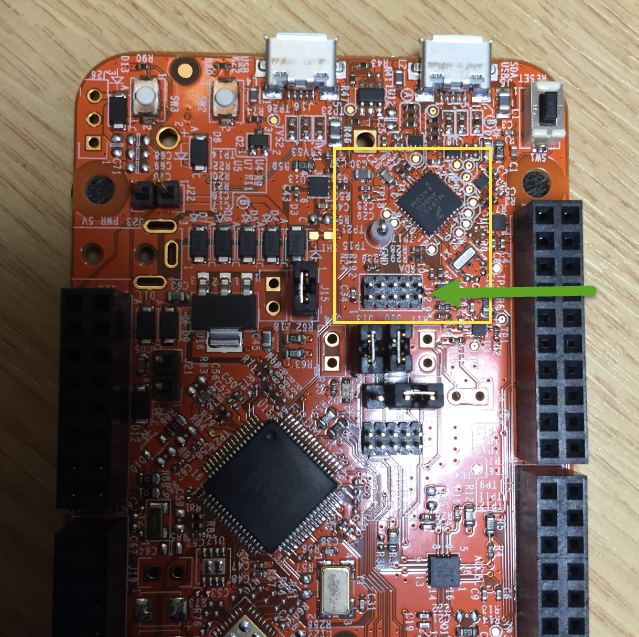 While I could use another FRDM board to recover it, it is much easier using a P&E Multilink or a Segger J-Link. Anyway, I think for serious development I don’t want to depend on the OpenSDA interface only: to have a ‘real’ debug probe like in this case can save many hours of work.